Dr. Luis Manuel Tumialán has helped countless patients in and around Phoenix, offering advanced spinal surgery including state-of-ther-art lumbar artificial disc replacement surgery. Some patients who suffer from severe spinal cord pain wonder if traditional spinal fusion surgery is a better option to consider than the newer lumbar disc replacement procedure. Let's look at each in brief and then consider some of the advantages that one surgery may have over the other. Spinal fusion surgery involves joining vertebrae together to help prevent painful motion of the disc between the vertebrae. There are different means of fusing the vertebrae together, including the use of bone grafts as well as the use of plates and other kinds of instrumentation. Good candidates for spinal fusion surgery are people who suffer from degenerative disc disease of the lumbar region or severe damage to the spinal discs in the lumbar region. Lumbar disc replacement refers to a surgical technique that removes the damaged disc and replaces it with an artificial vertebral disc. The first disc replacement surgery was performed in 2004. While slowly becoming more popular, the spinal fusion procedure is far more common. Good candidates for lumbar disc replacement are also people who suffer from severe damage of the vertebral discs. While the procedure is effective, only certain kinds of disc issues may be treatable through disc replacement surgery. 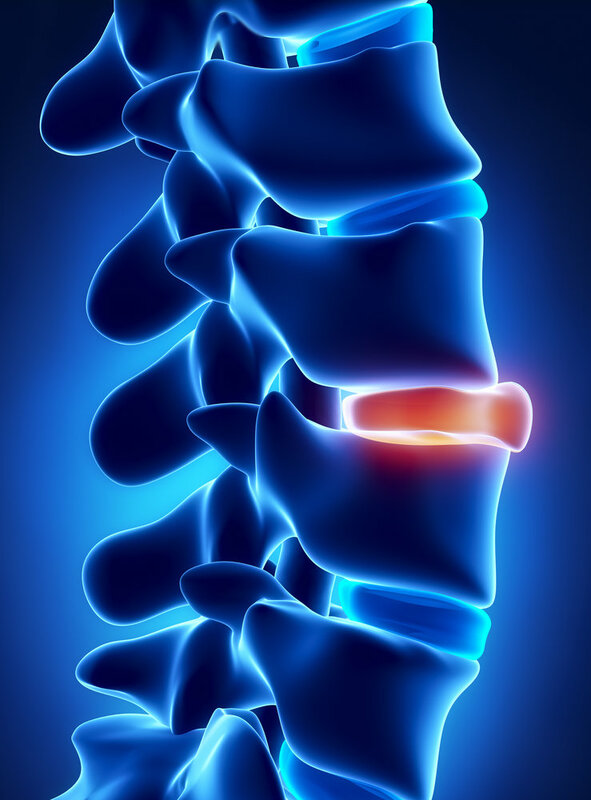 Spinal fusion is a much more familiar surgery to most spinal surgeons. It is also more versatile, able to address disc degeneration, fact joint issues, problems with progressive spinal deformity, and issues with spinal instability. Disc replacement offers excellent pain relief and a fair level of restored mobility for issues with select vertebral discs. In cases that involve issues with the discs themselves and healthy facet joints, the replacement procedure may be the preferable solution for these problems. During a consultation at our practice, we will carefully assess your general health and your spinal health to determine the ideal treatment option for you and your needs. In some cases, the nature of the spinal injury or condition or the location of the condition will determine the most ideal method of care. Rest assured that we will work closely with you to develop a strong treatment plan, one that limits risks and maximizes the possibility of restored wellness and mobility. Our team is here for you. For more information about spinal fusion surgery and how it can help you, be sure to contact our advanced neck and spine surgery center today. Dr. Luis Manuel Tumialán and his team look forward to your visit and helping restore your wellness and mobility.